Hello. I found this bug on my Quince today. I was worried it might be an Emerald Ash Borer, but seems to not be that. The head is shiny emerald green, though. Could you please let me know what it is, and if I should be concerned? Thank you. 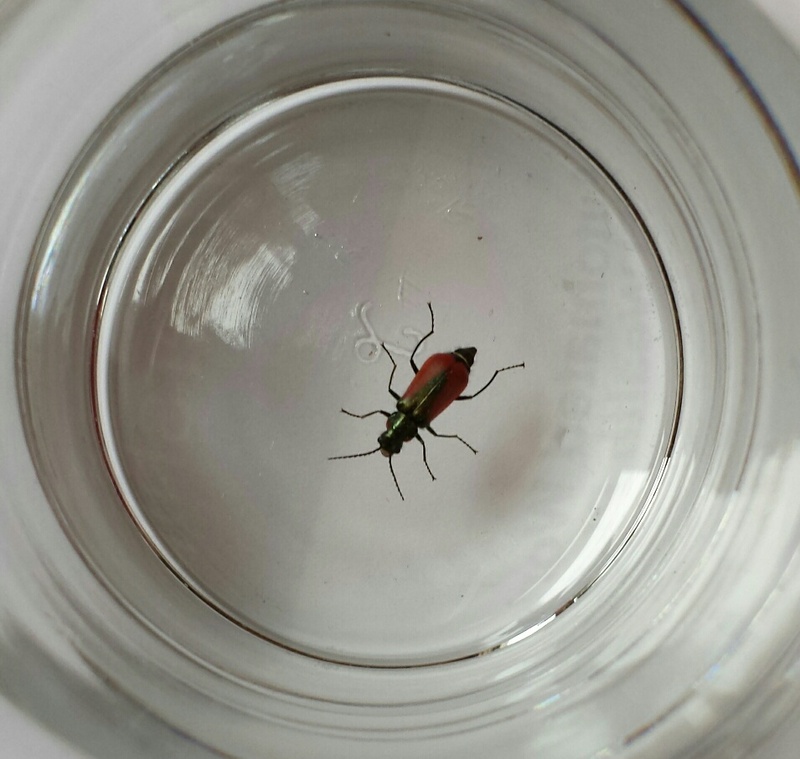 It is an adult beetle and our entomologist's guess is that it is one of the 'Blister Beetles' (family: Meloidae). Many of them produce and secrete a blistering agent known as cantharidin, which is part of their unique defense system from predators (handle carefully or not at all). There are more than 7,500 species worldwide and they do differ in appearance. No, except for handling it, you don't need to be concerned.